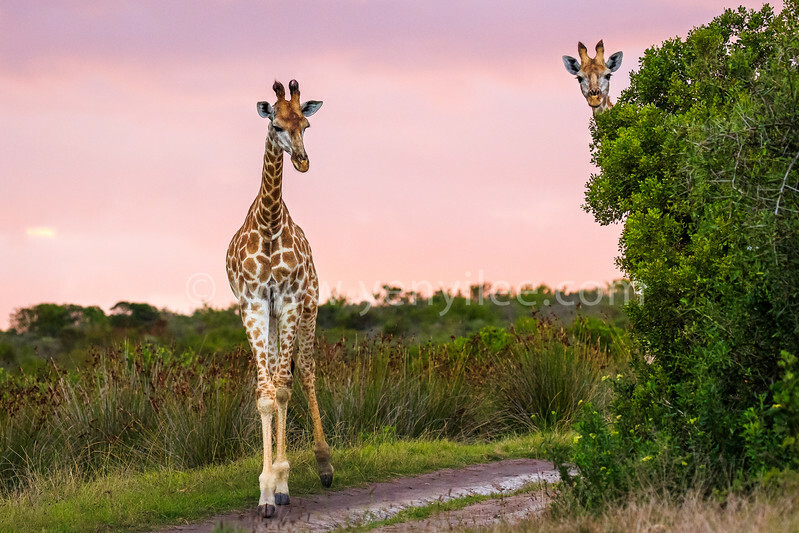 Two South African giraffes were strolling at sunset, while one of them hid behind the tree. The giraffe stands head and shoulders higher than any animal on Earth. A tall specimen can measure 5.5 meters from hoof to head. Giraffes are very seldom seen alone because they clearly enjoy one another’s company.